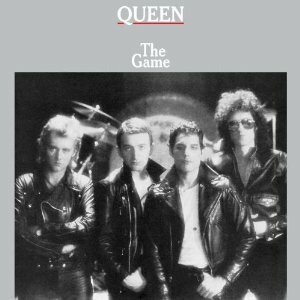 It doesn’t get much better then Queen’s 1980 album The Game…unless of course one happens to grab the two-disk deluxe re-mastered edition. The first disk (the original album) opens with the title track, featuring Freddie Mercury’s amazingly high vocals, then into the trash beat “Dragon Attack,” on which guitarist Brian May has never sounded better. Though played to death on FM radio, the hits, “Another One Bites The Dust” and “Crazy Little Thing Called Love” sound, like all the stuff here, pristinely re-mastered. A lilting May vocal pushes “Sail Away Sweet Sister” with the two minute thirty demo of the tune featured on the second disk. The amazing “Save Me” is featured as both the album’s ender and as a live version on the second disk from a 1981 performance in Montreal. The band’s only album to hit #1, it’s shortest in playing time and the first Queen album to use synthesizer (a fact not lost on Queen fans). This edition of The Game is worth playing!